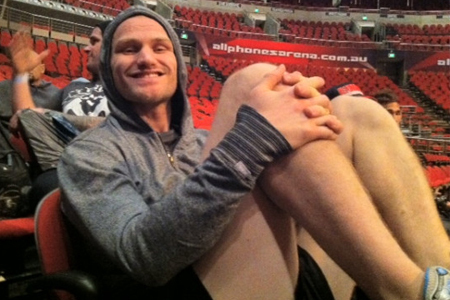 Merely four days ago, Thiago Alves was a slight -140 odds-on favorite to beat Martin Kampmann (Pictured) when the UFC returns to Australia. Fast forward to just several hours before showtime and the welterweights are now dead even heading into tonight’s shootout. The Gambling Gods have pegged both 170-pounders at -115. Meaning, bettors who are unsure should simply flip a coin before making their selection. However, fans should be a bit more conservative if betting on Joseph Benavidez. The flyweight is a whopping 9-to-1 favorite to dispose of Yasuhiro Urushitani. Allphones Arena in Sydney hosts tonight’s festivities. FX will broadcast the main card live starting at 9PM ET/6PM PT.